Richard Siegele, shown with Jessica Wanless, Direct Service professional, is a board member at Community Connections. Siegele lives in his own home with a host home provider. “Family” is a far bigger word than it looks on the page. While the standard definition of family may refer to the people we are born with, marry or give birth to, I believe we all know that family is much more than that. A family is a group of people bound together by love, trust and mutual support. In the world where I live, the world of intellectual and developmental disabilities, there is a truly special kind of family. As with foster care in the world of children, there are families in our community who open their homes and their hearts to expand their family beyond the traditional bounds. Host homes, as we call them, are individuals or families who host an adult with intellectual and developmental disabilities in their own home. The host home provides support, teaching skills for the individual to gain independence and assisting with any needs the individual has around hygiene, dressing, meal preparation, eating or taking care of the home. But there is far more the adult with disabilities provides to the host home. Amy Romero has been a host home provider in Durango for almost 10 years. She has had a couple of different women live with her and her family during that time. When I talk to her about the experience of being a host home, she says the experience is difficult to express in mere words. Kirk Coy has been a host home about a year. His wife and children share a home with a woman with an intellectual disabilities in her 50s. Coy became a host home to give back, to make sure his friend with a disability could have a better life than she would have without his assistance. What he found was that the gift was to him. Currently, 13 host homes are experiencing the rewards in La Plata County; another 20 live in Montezuma County. And more are needed. 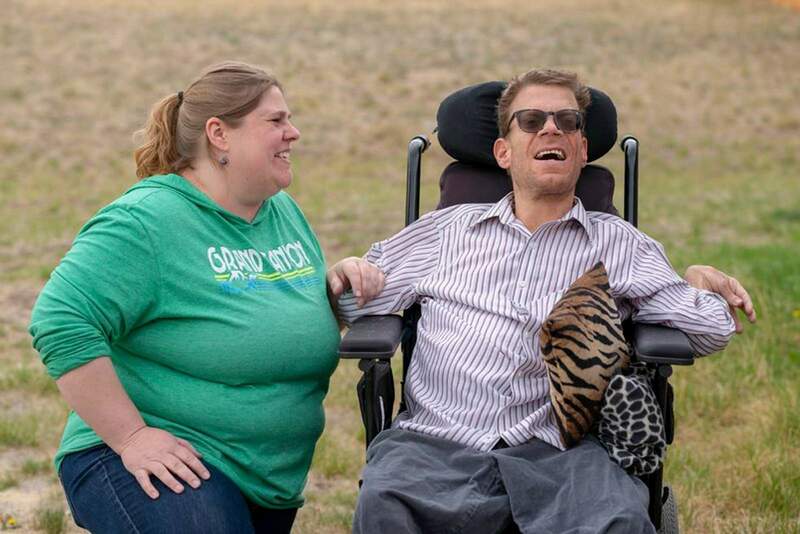 More than 2,900 adults with intellectual disabilities in Colorado sit on waiting lists for residential services, and the state Legislature is working to allocate funding to get people off that waiting list. As individuals come off the list, they will need people like Romero and Coy to welcome them in. Community Connections is the local agency that matches adults with intellectual disabilities and host home providers. Give us a call at 259-2464 if you are interested in learning more about being a host home and growing your family. We also have opportunities to provide respite care for current host homes, either in your home or theirs. Romero wishes she would have known what a meaningful experience it would be to become a host home.